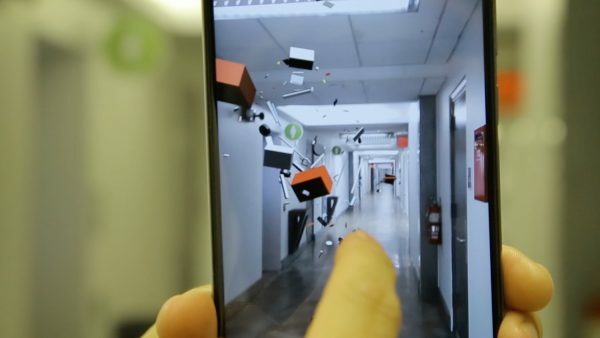 Blocks Throw App #ARCore #AugmentedReality « Adafruit Industries – Makers, hackers, artists, designers and engineers! Blocks Thrower is an experiment using 3D models created with Google Blocks. It turns your device into a digital slingshot, letting you fling models – pianos, crabs, hamburgers, whatever – at anything in the world around you. Built by Jane Friedhoff with friends at Google Creative Lab using Unity and Tango.